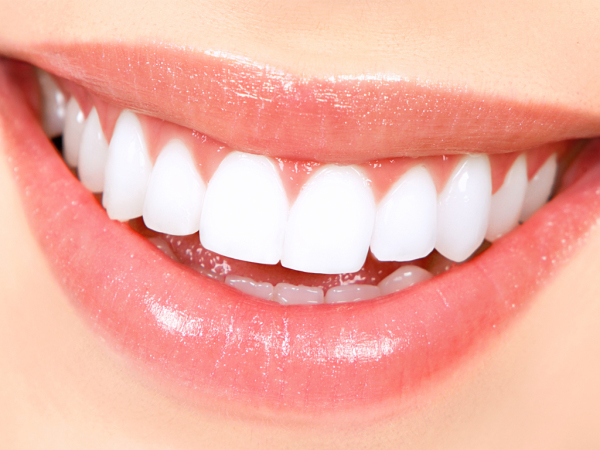 White glowing and sparkling teeth is a natural desire of every one. Smiling in crowd with discolored or stained teeth not only ruin your smile but also lower your self confidence. Let's have a look on some common causes behind discolored or stained. However, to get a clean mouth and sparkling teeth you should not totally depend upon chemically made toothpastes, which are exceptionally strong and abrasive many times and may damage your tooth enamel. So try to use toothpastes made by natural products which are less abrasive and protect tooth enamel. A mixture of lemon and salt is considered very effective in getting rid of yellowish tint. Mix 1 Table spoon of Lemon juice with 1 tablespoon of salt and apply on your teeth to remove the yellowish tint. Baking soda is considered as a bleach which whitens the teeth naturally. By using your index finger, scrub your Teeth with baking soda at least once a week to remove stain buildup. You can also use a toothbrush to brush the teeth with baking soda. It is best to brush with a mixture of baking soda and water and brush your teeth with this mixture for 4-5 minutes once in a week to get sparkling white teeth. A mixture of baking soda and lemon juice is super effective to get white glowing teeth. Use baking soda along with a few drops of lemon juice for massaging the teeth. As the lemon juice is acid you must be careful and rinse your mouth after using it so that you protect your teeth enamel against corrosion. For best results brush your teeth with this mixture once a week and avoid over brushing with this mixture because it can wear away the tooth enamel if used too frequently. Clove(Long) can also be used to make a very effective mouth cleaner. You can make a clove mouth wash by boiling some water in a pan and once the water has reached its boiling point adding good number of cloves in it. Take the pan off from the gas and cover it with a cap. After some time when the water cools down, you can use the liquid as a mouth wash.
Orange peel is also very effective in getting rid of pale yellow teeth. The inner part of orange peel is excellent for making your teeth white. Take a fresh slice of orange peel and rub the inner part on your pale yellow teeth for few minutes. Finally wash off your mouth with fresh water. Banana peel contains some essential mineral like potassium, manganese and magnesium that penetrates into the teeth and helps to whiten them. You can rub the inner part of banana peel on your teeth for 2-3 minutes. After 15 minutes, brush your teeth with your regular toothpaste. Repeat this process twice a week. Mint is a very active ingredient in almost every mouth wash and tooth paste available. However, the leaves of this plant can also be used in its natural form as a mouth refresher. To make a natural mint tooth paste, mash mint leaves adequately and then add sea salt in it. Use this mixture to clean your teeth with the help of your index finger or a moist tooth brush. A mixture of mustard oil and salt is also very effective in getting rid of pale yellow teeth.Washing your teeth with a mixture of mustard oil and salt can also make your teeth white as pearls. Strawberries are considered very effective for teeth whitening.They not only kill plaque causing bacteria but also work great to remove stains from teeth. Gently massage your teeth with mashed strawberries for 2-3 minutes. After using them for teeth whitening rinse and clean your teeth with a regular toothbrush to completely remove the mixture because strawberries are acidic and may damage tooth enamel if allowed to remain on the teeth too long. Eating an apple a day not only brings minerals and vitamins to your body, but also brushes your teeth and naturally whitens them. Chewing of raw spinach(palak) is also very helpful in treating discolored teeth and will definitely help you to get white glowing teeth. (i) Avoid consuming beverages that stain teeth, if you can. If not at least use a straw so that the liquid passes without contacting the front teeth. Rinse mouth immediately after consumption of beverages or foods. (ii) Avoid harsh or hard brushing because it may damage or erode tooth enamel. (iii) Avoid drinking dark-coloured beverages that cause stains on your teeth like strong tea, strong coffee, red wine, acidic juices and colas. (iv) Avoid Smoking and also avoid chewing tobacco products.